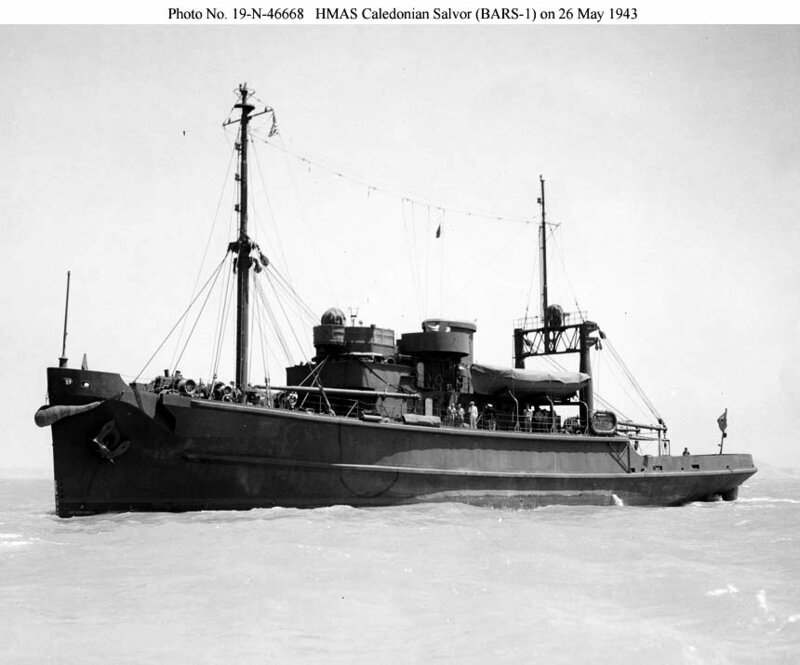 Laid down, 19 February 1942, as BARS-1, under a Maritime Commission contract at Basalt Rock Co., Napa, CA. Turned over to Australia, 2 September 1945, under Lend Lease. US National Archives Photo # Photo No. 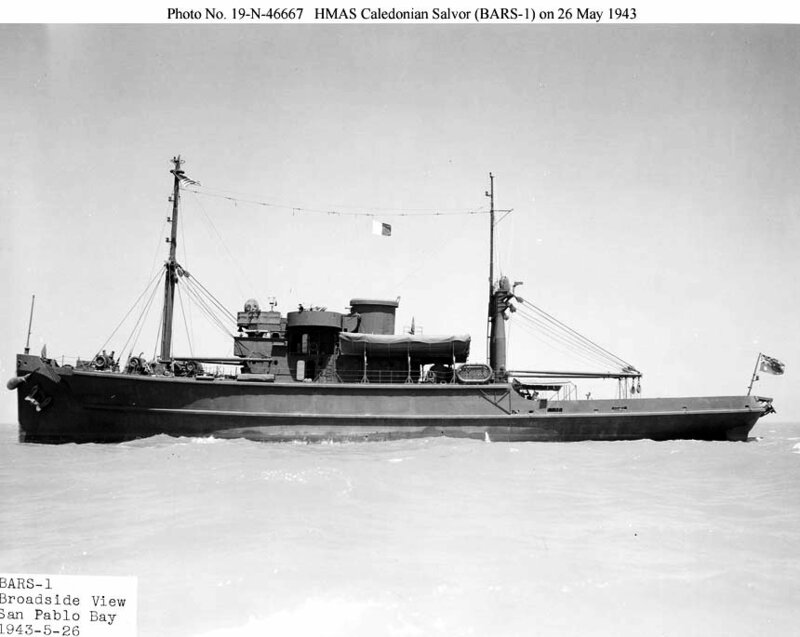 19-N-46668 66k Caledonian Salvor under way in San Pablo Bay CA., 26 May 1943. 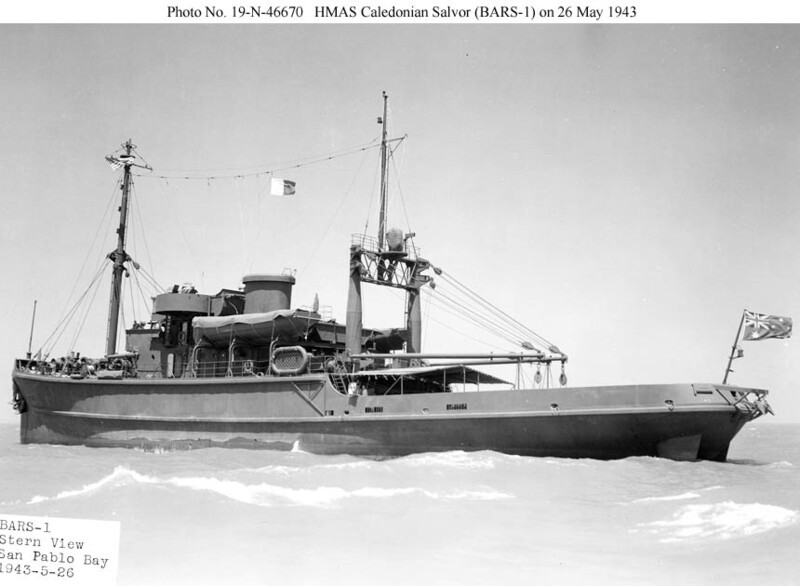 63k Caledonian Salvor at Rabaul, New Britain, 30 September 1945. The tug, operated by the Commonwealth Salvage Board, is working alongside the Japanese tanker IJN Naruto (No. 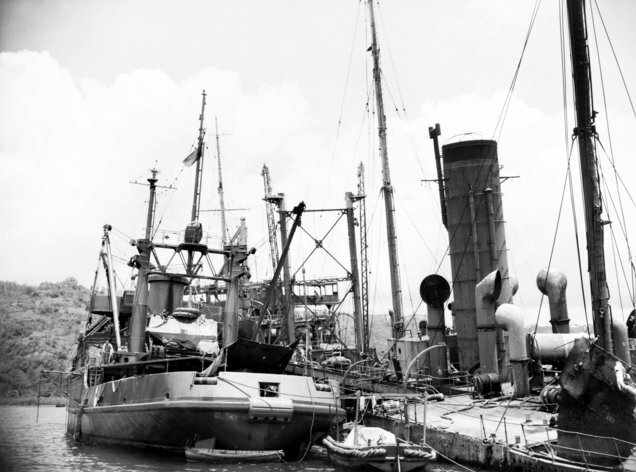 5301), which was damaged in Simpson Harbor twelve months earlier by Allied bombing. 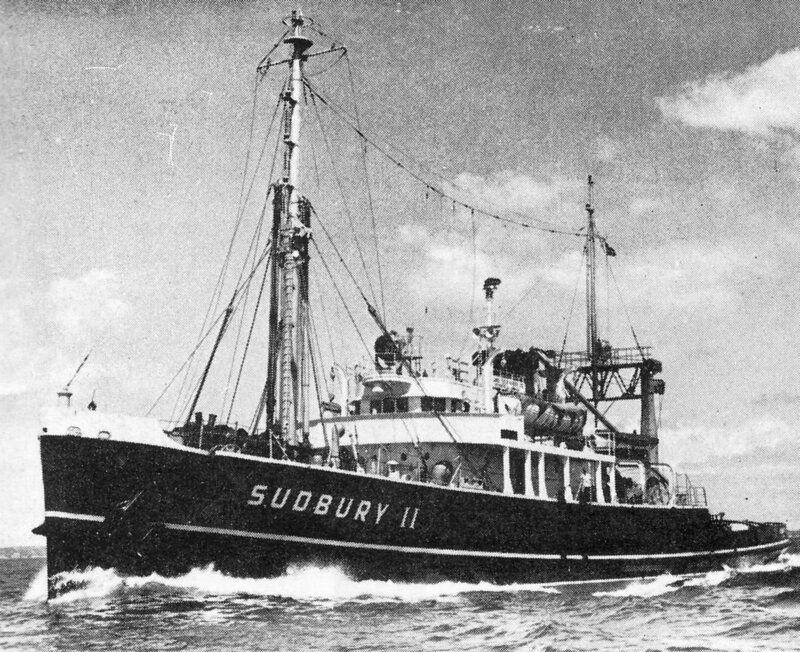 396k Ex-Caledonian Salvor under way off the Canadian Pacific coast as the Island Tug & Barge Ltd, tug MV Sudbury II date unknown.